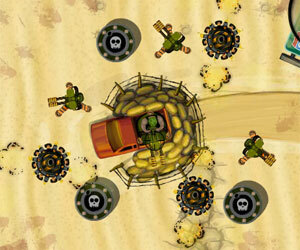 Description: One Ton is on a mission to destroy his former captors wherever they are. Use double wielding automatics, shotguns, rocket launchers, or phasers to complete the mission.. One Ton Boom is a Shooting Games. Instructions: WASD to move. Mouse aim and shoot. Q and E to switch weapons..